Sunday Lunch with My Arch Enemy. | Letters from an unknown author! 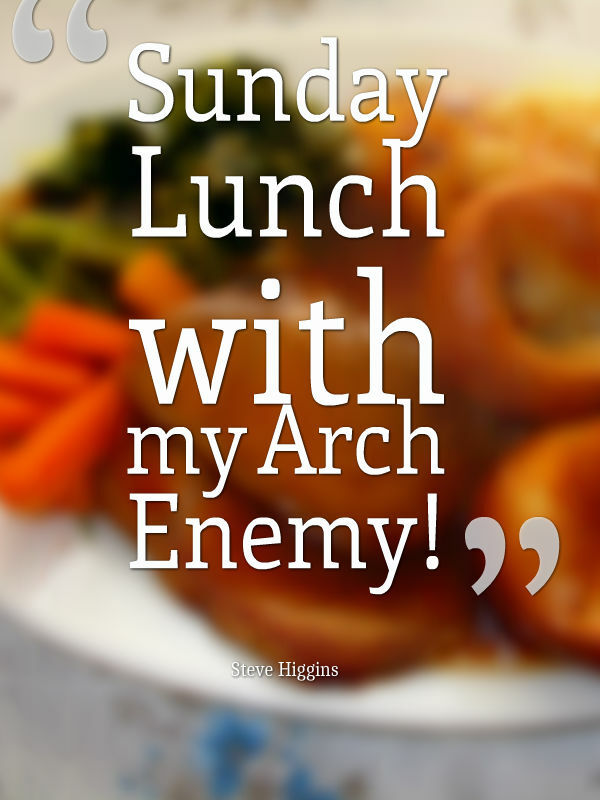 Sunday Lunch with My Arch Enemy. I published this post some time ago but sadly, my arch enemy passed away a few days ago on the 22nd October. He wasn’t really my arch enemy just a lovely old man who liked to engage in some cheerful banter. Sunday lunch will sadly never be the same again. RIP Harry. That’s me by the way, the Mad Monk. “Always a pleasure to see you, Harry,” I reply. Harry is just approaching ninety years of age and all his faculties are in order although his memory is perhaps not as good as it used to be. Harry turns to Zoe, a fake look of disdain on his face. Liz brings him a glass of French sherry..
“That’s more like it,” he says. The women go off into the kitchen to sort the dinner and Harry and I chat about various things. Once Liz and Zoe come back though, we resume battle. Over seventy five years ago when war broke out Harry decided the army wasn’t for him so he went on a wireless operators course in Preston then signed up in the merchant navy as a ‘sparks’. Harry had no money on him but his friend Frank treated him to a meal and a few beers and they didn’t see each other again until Harry’s fiftieth birthday, many years later. The wine is topped up and Liz calls for a ‘skivvy’ to help in the kitchen. Atlantic convoys during World War 2 were a lifeline for the UK. Bringing in food and supplies and munitions as we fought alone against the Nazis after the fall of France. U boats were a deadly menace to our ships and Harry told me once how he lay on his bunk shivering with fear during an attack. If a ship went down there was no one to help. Other ships couldn’t stop for survivors as they too might be torpedoed. After a while though Harry told me you just got used to the threat and got on with your job. He told me of trips to the Middle East taking tanks and equipment for the Middle Eastern campaigns. A trip from Argentina to the UK with a cargo of rice. A visit to Rio and a trip to New York. This entry was posted in The story of my life! and tagged anecdote, author, comedy, Father in law, humor, humour, life, nostalgia, observation, old age, Sunday, Sunday lunch. Bookmark the permalink. Pingback: My 10 Best Posts of 2015 | Steve's Blog: A sideways glance at the world!